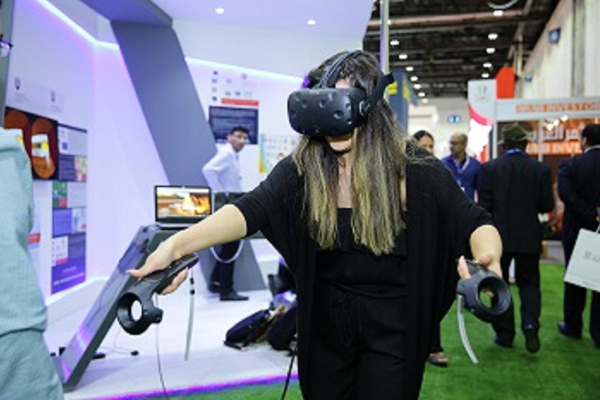 Startup funding worth more than $1 billion is likely to be raised in the Middle East this year, according to Arabnet, an online hub for Arab digital professionals and entrepreneurs to connect and learn. Start-up movement in the Middle East is accelerating with 260 start-up deals generating $560 million in 2017, up from 176 deals raising $249 million in 2016 while governments are reducing entry-level barriers and improving the ‘Doing Business’ environment that is helping start-ups to expand fast, said a statement. AIM Startup, the largest platform in the Middle East and North Africa (Mena) region for start-ups, is helping create a start-up eco-system that will bring investors, venture capitals and start-ups closer to help create employment and accelerate economic growth. As many as 200 start-ups will showcase their innovative products/services to a global audience for three full days and among them, the most worthy start-ups will be short-listed to pitch their projects to a panel of international expert and massive number of investors, potential business partners, corporate and government representatives, with a goal to attract capital investment and cash rewards. AIM Startup winners will be awarded with various prizes, including a total cash prize of $50,000, to be distributed to ?nalists in recognition of their achievements and innovations. An initiative of the UAE Ministry of Economy, AIM Startup brings tech-entrepreneurs closer to investors, venture capital funds and mentors, to help new technology-driven solutions and companies start up and grow. The event runs concurrently with the Annual Investment Meeting (AIM), a leading platform for foreign direct investment (FDI) in emerging markets, which is held under the patronage of HH Sheikh Mohammed bin Rashid Al Maktoum, UAE Vice-President, Prime Minister and Ruler of Dubai. The platform is aimed at facilitating strategic networking and promoting investment.